AVIATION TIMES is published by MEDIA Tribune. MEDIA Tribune specializes in strategic communication in the aviation industry and offer several opportunities for promotion or enhanced publicity. 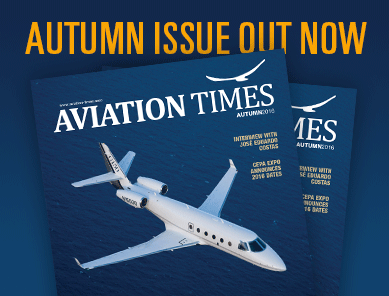 Besides its magazine AVIATION TIMES, Media Tribune will publish Special Magazine Editions, Convention Magazines, Books for special occasions (e.g. company anniversary), Annual or Milestone Reports, and many other publication options to present a company or project. MEDIA Tribune is not a traditional marketing or PR agency. It is more than a traditional or creative agency, or even a consulting company; the services we offer combine all business focus areas together. A professionally mastered mix of activities leads to synergies and ensures the success of your business. This is exactly what we offer. MEDIA Tribune provides clients with optimized efficiency and unique business synergies! Please feel free to contact us to discuss what extra services MEDIA Tribune can provide to you.